But fast forward to 2019 and there are now so many excellent modern touring options to choose between. The Trek 520 touring bike has been in production since 1983, using a good touring geometry and solid parts since the early-2000s. In 2004, Surly started making one of the finest, mass-produced frame options around: the Long Haul Trucker. The LHT frame was stiff, had 3x bidon mounts, had a spoke holder and used long 460mm chainstays. Slowly but surely, other manufacturers have been matching and exceeding the great features of the Long Haul Trucker; but it has taken some time. 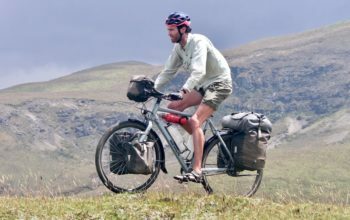 I’ve selected the following bikes as the best examples of a modern touring bike. They are all steel which I like for the deflect tolerance, low cost and ease of modification. They all feature wide gear ranges, including low enough gears to get you up most mountains. Almost all feature cable disc brakes which have proven reliable, even in the most remote of locations. The majority fit barend shifters for no-fuss gear changes, but STI shifters are becoming more common as they tend to be reliable these days. This is my list of the best modern touring bikes, taking into account design, geometry, price and specification. 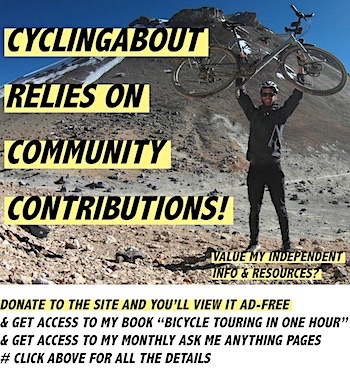 You can also check out the best touring bicycles with flat handlebars HERE. 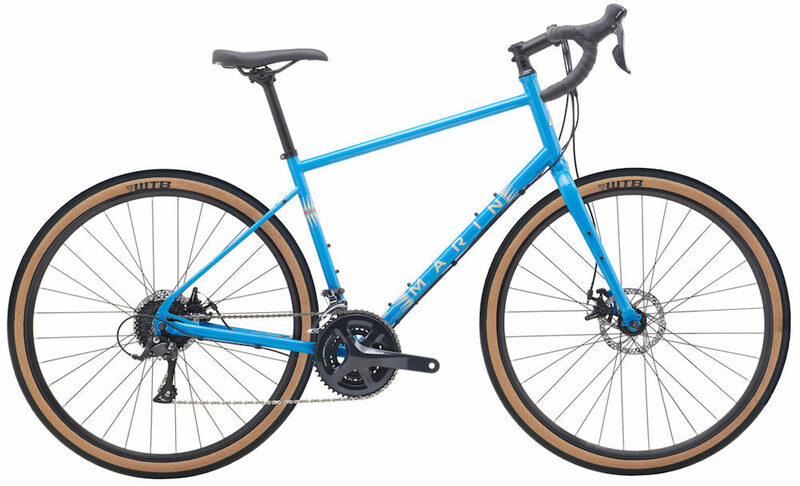 The 2019 Masi Giramondo touring bike. 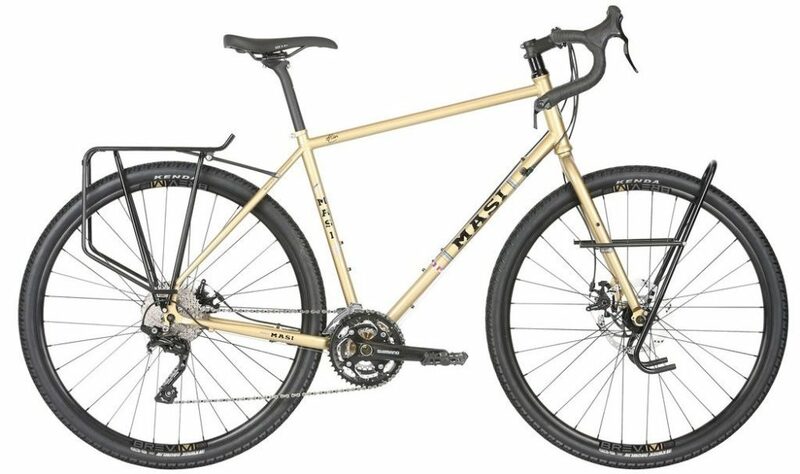 Masi recently put together their first touring-specific steel bike, and it’s killer! It has all the low gears (18-109″), barend shifters, TRP dual piston disc brakes and clearance for 29×2.0″ tyres. One of the best things about the bike is the price – it’s only US $1399 with Tubus front and rear steel racks (valued at US $260, these are the best in the business). When you factor in the brilliant racks it makes the Masi Giramondo touring bike the best value on the list. Read more about the Masi HERE. 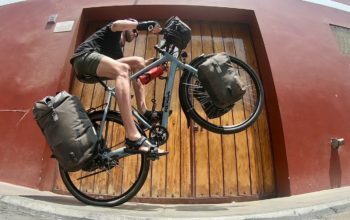 The 2019 Salsa Marrakesh touring bike. The Salsa Marrakesh is a well-designed bike that comes with a smart and reliable specification. 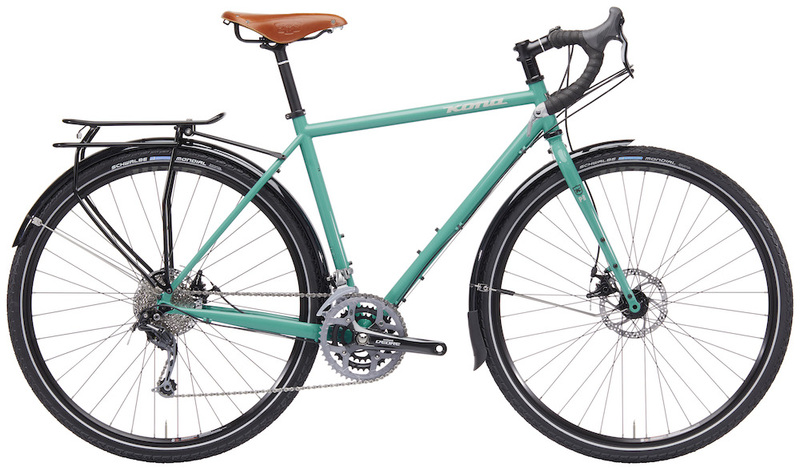 The triple-butted steel tubing helps to create a stiff chassis, there are eyelets for everything from fenders to cargo cages, the dropouts are Rohloff hub compatible and the bike comes in six progressively larger sizes. 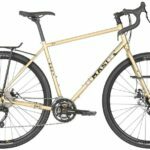 The Marrakesh offers an ultra wide gear range (21-122″), clearance for 29×2.0″ tyres, cable disc brakes, barend shifters and the popular Brooks B17 saddle. The price for a complete Salsa Marrakesh is US $1599 and you can get the frameset for US $799. Read more about the Salsa HERE. 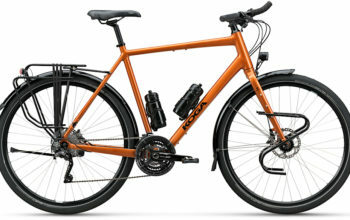 The 2019 Kona Sutra touring bike. The Kona Sutra touring bike has come a long way since it was introduced over a decade ago; the latest iteration getting closer to touring perfection. Kona has recently optimised the frame geometry to increase the fork rake, increase the chainstay length and lower the bottom bracket, resulting in a more stable ride. It has a smart build of cable disc brakes, 29×2.2″ tyre clearance, relatively low climbing gears (21-119″) and barend shifters. The bike comes with a touring favourite, the Brooks B17 saddle, plus fenders and a rear rack and is available for US $1499. Read more about the Kona HERE. The 2019 Fuji Touring Disc touring bike. The Fuji Touring is finally available with cable disc brakes! The all-new steel frameset is available in seven sizes and still offers a solid spec including an ultra wide gear range (20-119″), barend shifters, a rear rack and strong 36-spoke wheels. Get your hands on a Fuji Touring Disc for US $1199. Read more about the Fuji HERE. 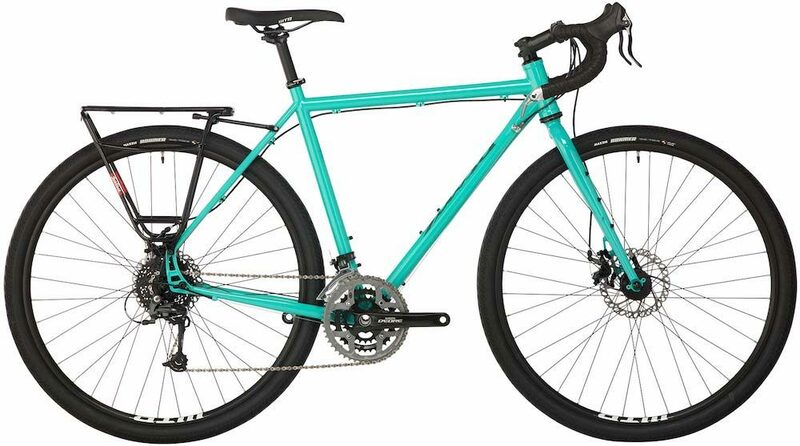 The 2019 Surly Disc Trucker touring bike. 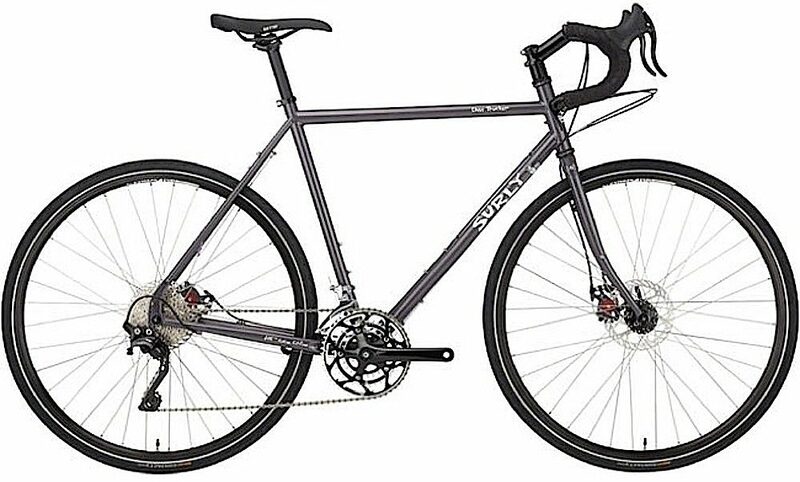 For a long time, Surly was the touring standard. The bike’s geometry is great and it’s the only bike that’s available with 26″ or 700c wheels. 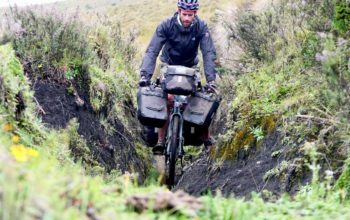 The bike comes with ample braze-ons for water and gear, an ultra-wide gear range (20-119″) and a rock solid spec. The 700c bike will fit a 700x45c tyre and the 26″ a 26×2.1″. Although it’s remained relatively unchanged for quite a while now, it still ranks as one of the best and that’s why you’ll see them everywhere. You can get a Disc Trucker for US $1449. Read more about the Disc Trucker HERE. The 2019 Trek 520 touring bike. 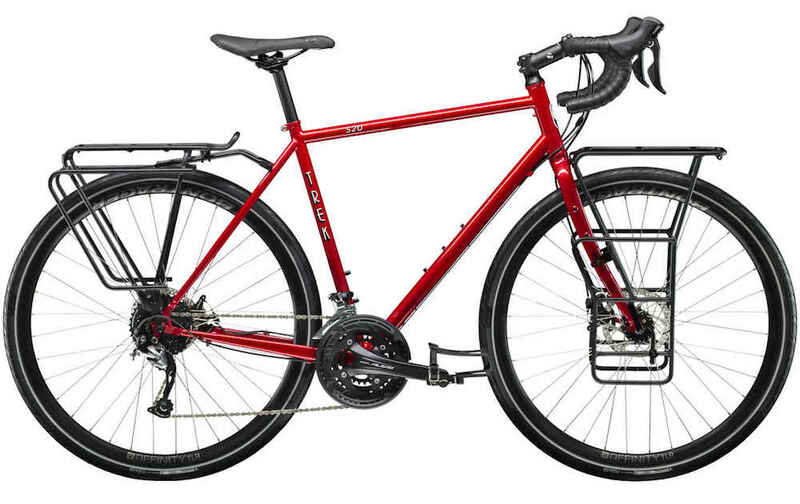 The Trek 520 has been slowly evolving into a super-capable steel touring bike. These days it offers a bombproof spec including cable disc brakes and the ability to fit 29×2.0″ tyres, plus a great frame geometry and good climbing gear of less than 20-inches. 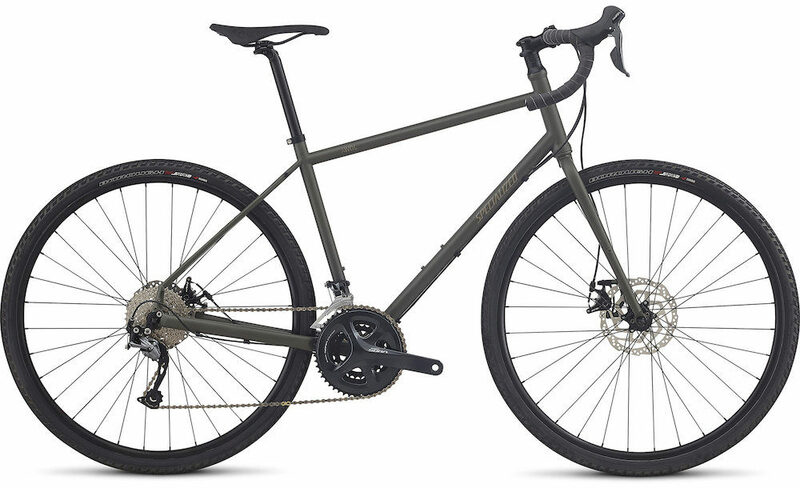 It’s US $1575 for the complete bike or US $649 for the frameset, it’s also available in grey and it comes with the Bontrager front and rear racks shown in the image. Read more about the Trek HERE. The 2019 Marin Four Corners touring bike. The Marin Four Corners has been getting better and cheaper by the year! 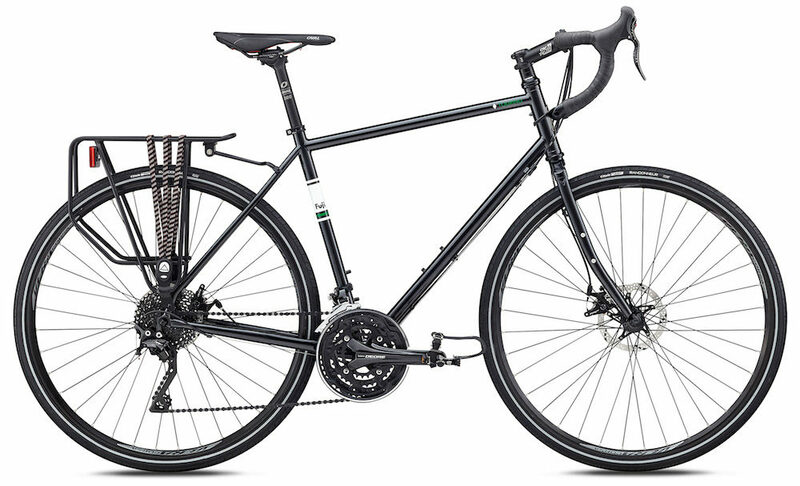 This steel touring bike has generous tyre clearance (700x50c), cable disc brakes and braze-ons everywhere. 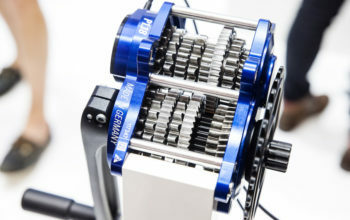 It offers a rather high climbing gear of 25 gear inches, but with a crankset change, you can easily achieve lower climbing gears. Find the Marin Four Corners for US $1039. Read more about the Marin HERE. The 2019 Specialized AWOL touring bike. The Specialized AWOL has been around a few years now and is one of the better touring bikes. It offers a nice steel frameset, cable disc brakes, integrated brake/shifters, 29×2.1″ tyre clearance and a 23-inch climbing gear. You can easily swap out the crankset to achieve even smaller climbing gears if you need. The AWOL range starts at US $1200. Read more about the Specialized HERE. 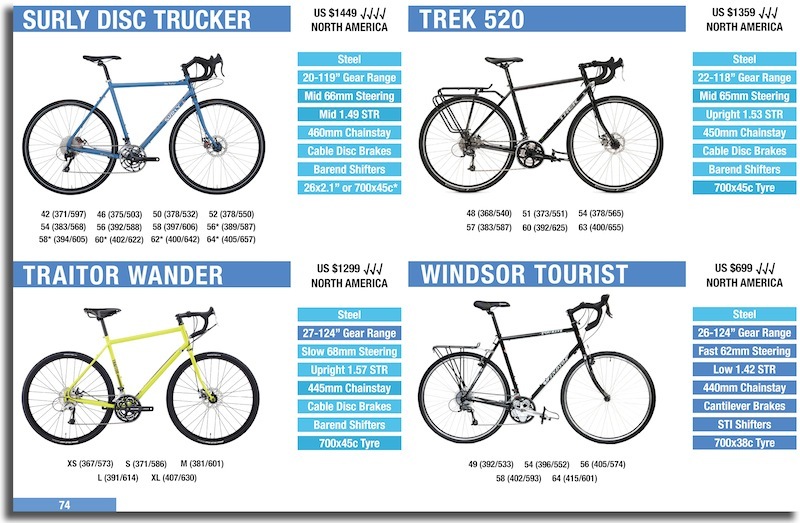 Want To Compare These Touring Bikes With Dozens of Others? 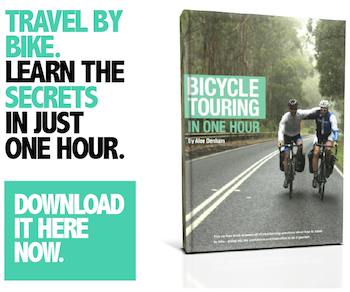 Check out The 2018 Touring Bicycle Buyer’s Guide which compares touring bike steering, sizing, gear ratios, specification, pricing and more. This guide is updated annually with the latest models at no extra cost!